At a time when Sri Lanka are in search of quality all-rounders, Moors Sports Club cricketer Chaturanga de Silva is no doubt a good investment for the country’s future cricket. 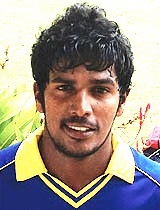 Chaturanga hails from Galle and played for St. Aloysius College, Galle and was an outstanding member in their cricket teams from the junior level to the first eleven. As an all-rounder who bats and bowls left handed, he made a big impact in the recently concluded Mercantile Premier Cricket Tournament by excelling in all three departments of the game which enabled him to proceed on a scholarship to the Darren Lehmann Cricket Academy in Australia. Read the rest of this entry ? You are currently browsing the archives for the Darren Lehmann academy category.